Hi my name is Dave and I'm an addict. I too love the rice cooker. On the other coast from my Komodo Kamado, the smoker is surprising fun, if infrequently used. I prefer the soup and stew donabe to the all-purpose donabe for general use; it is rated for more heat abuse. The only donabe that can't be heated "empty" is the all-purpose donabe, but a bit of oil and garlic or whatever counts as "not empty". I also own a donabe tagine (not shown) but I find it impractical. Just use a soup and stew donabe. 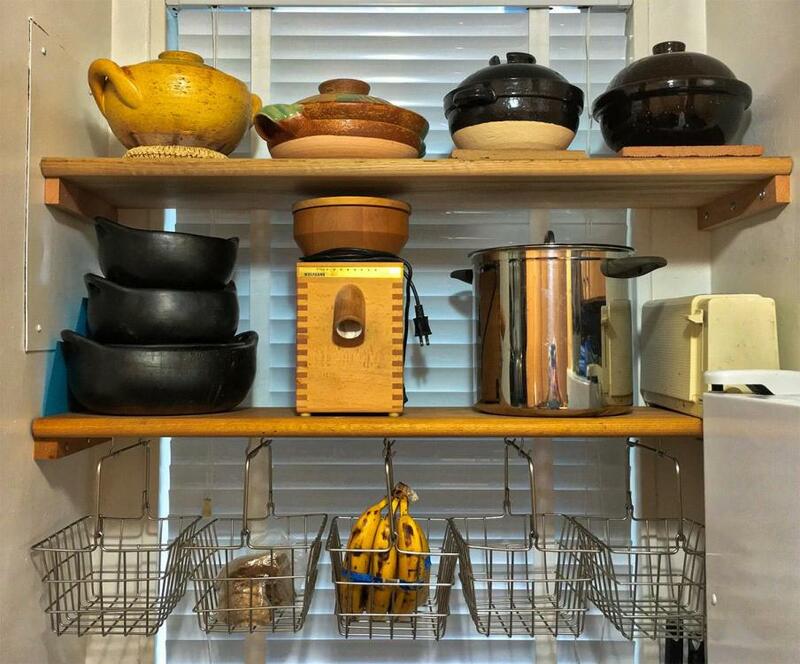 Next shelf down is a set of La Chamba pots (great value, use all the time for beans), a Wolfgang Mock grain mill for making pasta, bread from home-ground flour, a pasta pot, and an aging single-slot European toaster for which I can't find a replacement. The shelves are stair treads. The hanging baskets are great when citrus is in season, for fresh-squeezed juice. This year the selection has been poor. You win, Syzygies, that is a true addiction. 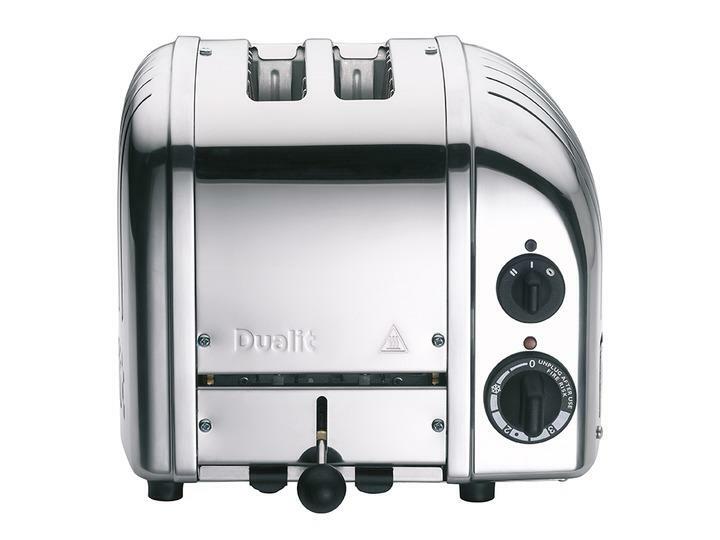 BTW Dualit makes a 2 slice toaster without bells and whistles except for a mechanical timer, it doesn't pop up, there is no fireworks to say things are toasted but the best news is that if an element goes bad, they supply one that the owner can easily change. The toaster can be set just to cook one slice if that is all you want. Dang.........now I have big time "Pot Envy" ...................next thing you know Charles @ckreef will be posting a picture of all his new pizza pans....and then I will have "Pan Envy" also!!!!!!!!!! I am very happy to learn from your addiction Dave. I did a lot of research a few months ago and the two I was planning to buy were the rice cooker and the soup and stew pot. You confirming that they are your "go to" donabes leaves me free to indulge in a Miso-shiru when I do come to pull the trigger on a second donabe. Validation.  Hurrah. In "bagel mode" the outside elements get hotter than the inside elements. This is reversed from most other toasters. The Dualit allows one to lift and inspect in mid-toast without ending the toast cycle, and it's easier to see what's going on with this wiring. One does have to remember to cross one's hands after slicing a bagel, to insert properly into the toaster. The manual never got the memo, and describes the reversed, usual convention. I didn't want an incorrectly wired toaster, so I returned THREE toasters before keeping the fourth, finally getting a satisfactory explanation. Amazon briefly took these toasters off the market while investigating. The manual is still wrong, as far as I know. We're actually less than impressed with the heating elements, haphazard and uneven. The replaceable elements in your link look much better, though I'd prefer actual quartz heating. Perhaps you've linked to better Dualit toasters. My toaster looks exactly like this and I've had it a few years. Not sure mine is new-gen or not.